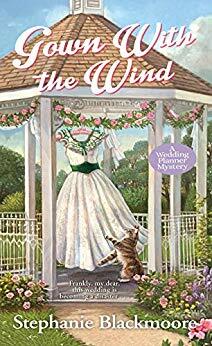 This is the 4th book in the Wedding Planner Mystery Series. While I have not read all the books in the series, I did read the first one, and am glad I did as it details how Mallory and Rachel became wedding planners and B & B Owners. In this installment, Mallory is tasked with planning the wedding of her ex-fiance, Keith, and his new bride-to-be, Becca. There are many hurdles that Mallory has to cross in planning this wedding, including dealing with Helene, Keith's overbearing mother. Becca's family also comes into to play in making the planning more difficult, when Becca's grandmother, Alma's life is threatened because of her Gone with the Wind Memorabilia. Becca finds a beautiful gown in her grandmothers's possessions and wants that to be her wedding dress, thus changing the theme of her wedding. When a childhood rival of Becca's sees the dress, she wants it for herself, and when she is found dead in Keith and Becca's pool, they become suspects in her murder. Once again, Mallory has to put on her sleuth hat to prove they are not the killers. There is a lot going on in this story that really kept it interesting. I love this writer's writing style and I also liked the plot. Both aspects made the story flow really well. I really like the main character, Mallory, she is a very strong person, as I would not want to plan my ex-fiance's wedding. But Mallory does it with aplomb. There were a lot of twists and turns and exciting moments in this book that kept it very interesting and kept me turning the pages. I really enjoyed this one and look forward to more in this series. A native Pittsburgher, Stephanie Blackmoore now lives in Missouri, with her husband, son and two-spirited cats. 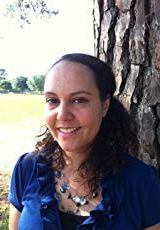 She was an attorney in Pittsburgh and a librarian in Florida before becoming a writer. Stephanie is a fan of everything black-and-yellow. She is hard at work on her next Wedding Planner mystery. Connect with Stephanie at the links below.